Along this 21 mile loop trail, hikers can enjoy the scenic views, serenity of the forest, streams and the Manistee River. They can take advantage of the two state forest campgrounds in the loop and the Trail Town of Fife Lake Village. It is a perfect sized loop for a weekend get-a-way for backpackers or there are numerous options for different length day hikes. No permits or fees are required for hiking. There is a nightly fee for state forest campgrounds that can be paid onsite. This trail, a portion of the North Country Trail, heads east from its junction with the original NCT trail, skirts the scenic Manistee River for almost 4 miles, heads north along Fife Lake Creek, winds through the picturesque Headquarters Lake region to Spring Lake State Forest Campground. The entire loop makes for a perfect weekend backpacking trek. Stay Friday in Cadillac and start your trek early Saturday at the Old US-131 Campground to enjoy the most scenic portion – the 10.6-mile walk to Spring Lake Campground. Sunday is a 9.5-mile trek to return to the Old US-131 trailhead where you can depart for home or pitch their tent for the night on the banks of the Manistee River in the campground’s walk-in campsites. This trail is also a great spot for XC skiing and snowshoeing in the winter months. 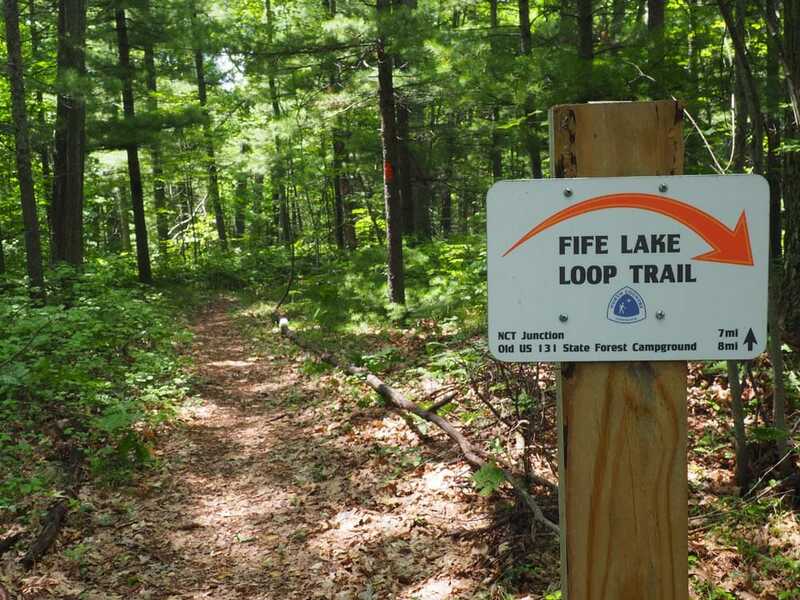 Although these are not groomed trails, they are marked with orange colored blazes on the Fife Lake Trail, while the NCT segment has its traditional blue blazes on trees.